Israel Hayom | Police arrest 85 after social justice protest turns violent. This is the crux of the whole faux-Human Rights movement. 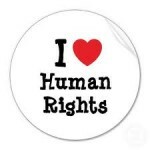 Human Rights are some universalist, globablist utopian super-law that trumps all local law. Well thankfully this crazy notion isn’t the case everywhere even if it has rather caught hold in Europe. In Israel, if you hit a policeman, you can expect to be thrown to the floor and dealt with roughly (or thwon and dealt with wuffly if your name is Bwian). And once again, of course, (Sh) Amensty is plugging away at a heavy handed arrest in Israel versus the indiscriminate slaughter of civilians in Syria. Way to show your moral superiority, ShAmnesty.